The city celebrates its bicentennial this month. It's a good time to discover this part of our southern neighbor. 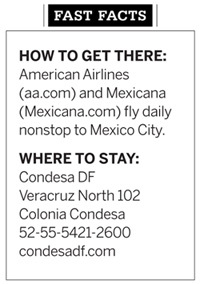 EL GRITO: If hordes of foreign merrymakers don’t scare you, head this month to Mexico City. On September 15, the city will swell in celebration of the country’s 1810 rise against the Spanish. 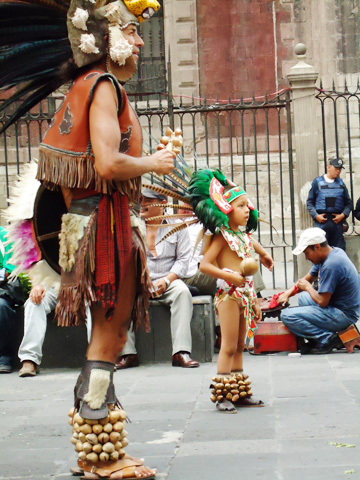 The city square, or zocalo, is the place to gather—or avoid if crowds make you nervous. Those who prefer a more relaxed experience will want to wait until the excitement dies down. Year-round the city is a desirable destination; the elevation and subtropical highland climate provide a brilliant respite from Texas heat in summer, and winter temps average higher than our own. DULCES SUEÑOS: It’s not the city’s newest or fanciest hotel, but Condesa DF (condesadf.com) is the hippest. Don’t miss the rooftop bar, a sprawling teak deck with couches and beds nestled among the treetops. It’s especially well-suited for afternoon cocktails. Rooms are smallish but nicely appointed and surround an open-air atrium, which packs at night with ultra-cool locals and the occasional celebrity. Those who wish to turn in early will make good use of the earplugs on the bedside table. BUEN PROVECHO: Resist the temptation to eat food from street vendors. Yes, it looks and smells amazing. And, yes, it will be an authentic Mexico experience, but there’s a good probability that it will be too authentic for your American constitution. 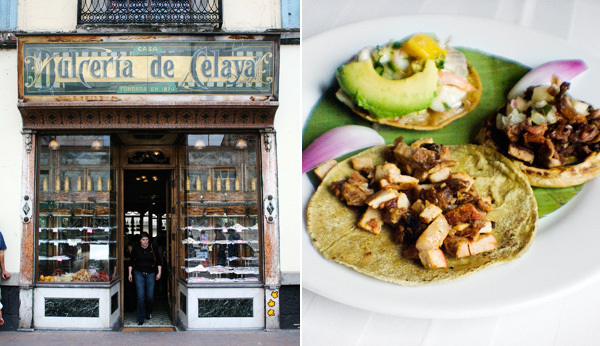 Instead, opt for one of Mexico City’s finer dining establishments. The brave-hearted will delight in Fonda San Angel (fondasanangel.com.mx), where the menu includes a pre-Hispanic appetizer of crispy fried grasshoppers and maguey worms, as well as traditional mains such as a poblano pepper stuffed with picadillo and covered in walnut sauce. Tonala 20 (52-55-5207-8122) is a secret gem located in an opulent converted residence in the Roma neighborhood. It’s open only Thursday through Saturday, and getting a reservation can be tricky—but you’ll find that perseverance pays when you dress up and tuck into something from the constantly changing menu. Duck confit and a salad of tangerine, hearts of palm, and sprouts were heaven on a plate. Take note: Mexican tradition is to eat late. Think 3 pm for lunch, 9 pm for dinner. If you arrive at a restaurant during typical American mealtimes, yours will likely be the only table in the house. QUE TE DIVIERTAS: You’ll be pleasantly surprised by the quality and diversity of the items on offer at the Bazar del Sábado, or Saturday market, in Plaza San Jacinto. Ceramic Day of the Dead skulls, colorful dolls, and handmade baskets meet silver jewelry, woven rugs, leather goods, and paintings of all styles. Nearby, the neighborhood of Coyoacán hosts an excellent Sunday market. While you’re in the area, drop by the Frida Kahlo museum (museofridakahlo.org.mx) and Leon Trotsky museum (museocasadeleontrotsky.blogspot.com), both located in the former homes of their namesakes, and just two of Mexico City’s 160-plus museums. A little farther south lie the kitschy, must-see Floating Gardens of Xochimilco. There, an eye-popping gondola will take you along the canals, where food, drinks, souvenirs, and music are brought right to your boat. As Mexico City marks its 200th year of independence, the country is experiencing another kind of revolution. A new generation of Mexican designers has emerged, taking inspiration and materials from their homeland and translating them into clothing and accessories that are as authentic as they are relevant to today’s woman (meaning you won’t find embroidered peasant dresses and striped blanket ponchos in their lines). 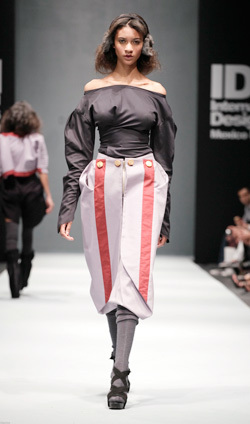 Among these fashion-forward designers is Daniel Andrade (danielandrade.com.mx), who is working on a ready-to-wear line but is currently available by appointment for custom orders. Twenty-five-year-old Andrade, who grew up in Guadalajara, began his trade as a costume designer and today creates clothing that is wearable anywhere in the world. His sophisticated women’s wear is made of silk or cotton and is often a contrast in texture. Dresses in particular are both modern and nostalgic, desirable for their innovative necklines, knotting, and draping. What’s more: they are the perfect combination of comfort and elegance. Prices range from $390 to $930—not unreasonable for bespoke clothing.